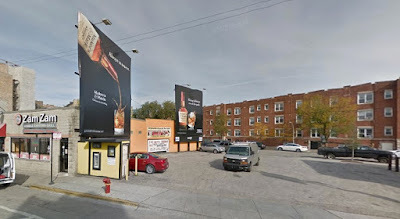 CWB Chicago: UPDATE: Three Charged in Wrigleyville Attack; Victim Says "They Came At Us For No Reason"
UPDATE: Three Charged in Wrigleyville Attack; Victim Says "They Came At Us For No Reason"
Three men wearing Cubs gear who allegedly battered four people in Wrigleyville early last Wednesday are facing multiple counts of battery. And their reported victims, some still recovering from injuries, say a fourth offender got away. CWBChicago first reported on the arrests last night. Now, we’ve heard from one of the alleged victims directly. Just after midnight last Wednesday, Louie Christopher and two women left a bar near Wrigley Field. The four men followed them out, he said. Ceasar Rodarte, 29, of the Avondale neighborhood; 24-year-old Alfred Melendez of Houston, and 24-year-old Luis Marin of Elizabeth, NJ, were arrested in the 3500 block of North Sheffield. Each is charged with four counts of battery causing physical harm. They were released on their own recognizance. The fourth man was never found. “They gave me a concussion and I’m bruised up everywhere,” Christopher said. “I was hit more than 30 times and I was completely unconscious.” He lost three teeth in the attack and was hospitalized at Advocate Illinois Masonic Medical Center, according to police. A 28-year-old woman from Des Plaines and a 27-year-old woman from the Irving Park neighborhood were also injured, according to police records. A Waukegan man, the stranger who intervened, is also listed as a victim. Police did not provide an age for him.